Dewey’s Bakery has a new line of soft baked cookies and southern-inspired crackers that are essential for everyday life. These treats are not for a one-time occurrence. They are daily necessities for every occasion! These simply delicious cookies and crackers are meant for celebrating every day. It’s a magical moment with every bite. 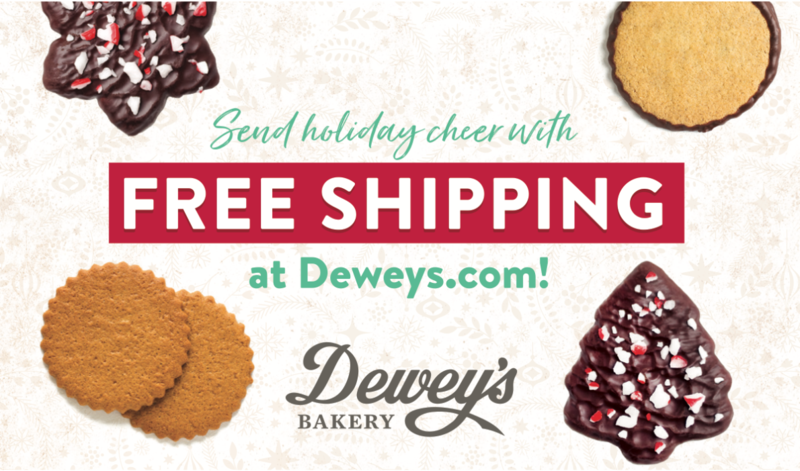 So, come on over to Dewey’s Bakery or find us at a retailer near you! Find our treats near you! Add our Birthday Cake cookie to your little one’s birthday treats and they will be sure to enjoy. Life is too short for just one birthday cake. Why not add a cookie, or two? The soft, pull-apart texture will leave you and your family wanting more. Add a Triple Chocolate Brownie to the mix and you have a perfect dessert for any dinner or block party, neighborhood gathering or a simple movie night at home! These soft-baked cookies are even better with a scoop of homemade ice cream. Throw them in your kid’s lunch box and you’ll be the talk of the school. Barbecues, pool parties, and cook-outs pair perfectly with the Sweet Potato and Cajun Cheddar! Bring the Coastal Carolina Spices to your low country boils at the beach. A little snack for the road calls for our Chipotle Cheddar Cornbread. Picnic in the park? Turn up the heat with the Sriracha Cheddar! The Carolina Style Barbecue is a perfect addition to that cold, crisp Coca-Cola after a long day in the sun. With every bite, you get a taste of our history.